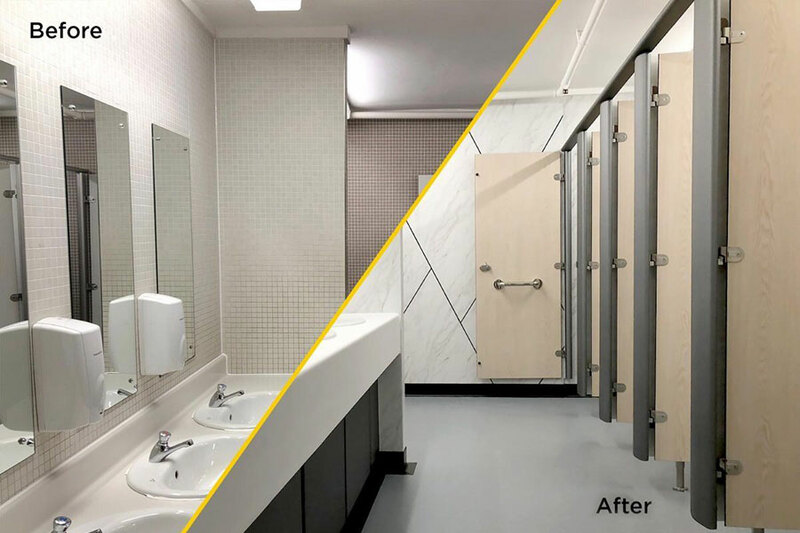 Complete washroom refresh for toilet cubicles, WC duct panels, urinal panels, vanities, wall panels and door sets. Change your surroundings in an instant using architectural film wrap. With our range of more than 1,000 architectural film finishes, 300 of which are readily available to buy by the metre in the UK, in a vast choice of materials, patterns colours and designs - we have the finish to suit your next project. 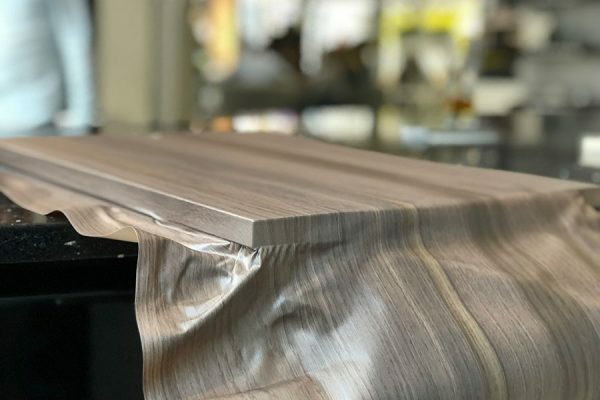 Whether you want the warmth of woodgrain, the sleek appearance of polished metal or the coolness of natural stone, it can be achieved through architectural film – and all at a fraction of the cost and time. What does Washroom Refresh entail? In a nutshell, we can refresh rather than replace your washroom facilities. 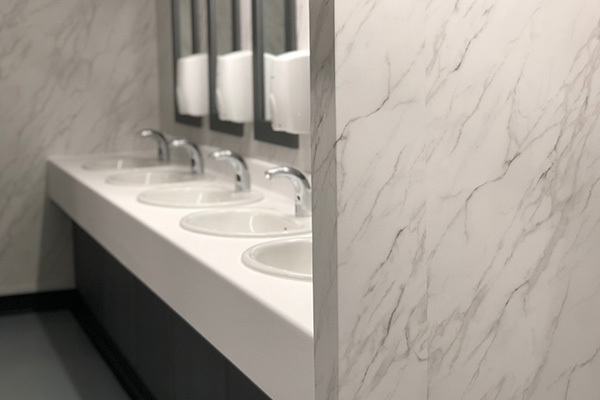 Our team will get to work quickly on site to repair and prepare the surfaces, whether that’s toilet cubicle doors, duct panelling or walls, before applying a bespoke architectural film in your chosen finish to create a fresh new washroom space. Similar in approach to car wrapping, architectural film provides a high quality finish by applying a film directly to the substrate. Highly malleable and lightweight, architectural film moulds perfectly around both 2D and 3D curves and adheres to most building substrates. The end result is stable, tough and long lasting with fire resistant qualities. Cost – offers a significant cost-saving compared to traditional refurbishments so is ideal where budgets are tight. 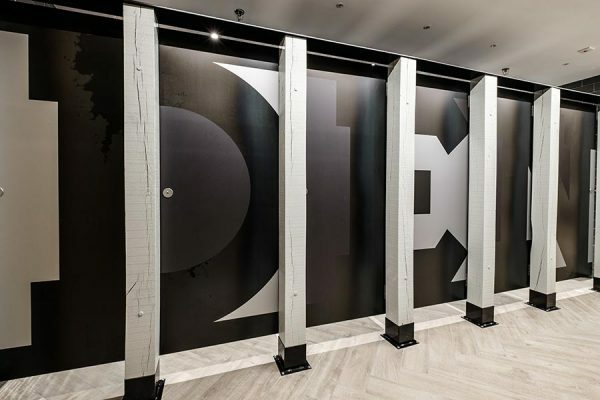 Time – with no need to remove old cubicles, the transformation can take place in just a matter of days meaning less disruption and less downtime. Stain-resistant finish – it’s easy to clean and maintain. Hard-wearing – as well as being fire resistant, it’s also stable when exposed to heat, humidity, and low temperatures and is easily repairable should it suffer damage. Endless deign possibilities – an extensive range of more than 1000 patterned and textured finishes includes faithful reproductions of wood, metal, marble, leather, stone all of which have the same texture as the material it replicates. 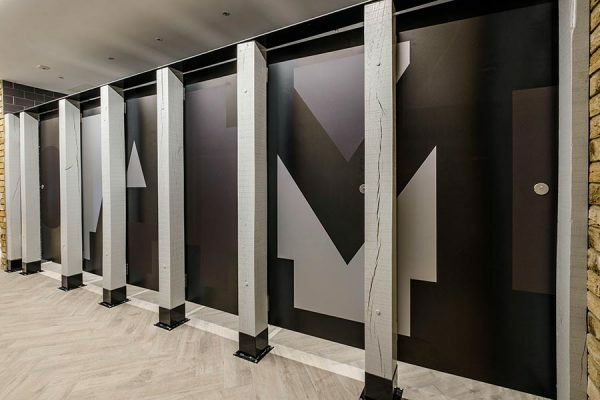 Versatile – any architectural film design can be applied to any washroom surface, be that a toilet cubicle door, duct panel system or locker. Eco-friendly – cuts down on necessary waste by giving tired and dated washroom spaces a new lease of life. Need more information or would like a sample please contact us today.